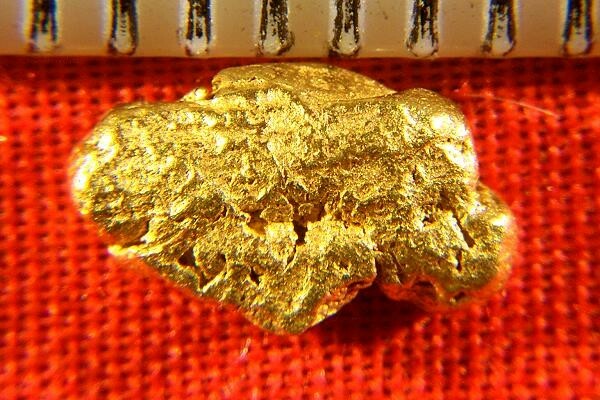 This beautiful smooth & shiny natural Gold Nugget from the rivers of Northern California weighs 15.0 Grains (0.97 Gram). Found in the gold fields of California, it measures 3/8" (13 mm) long. 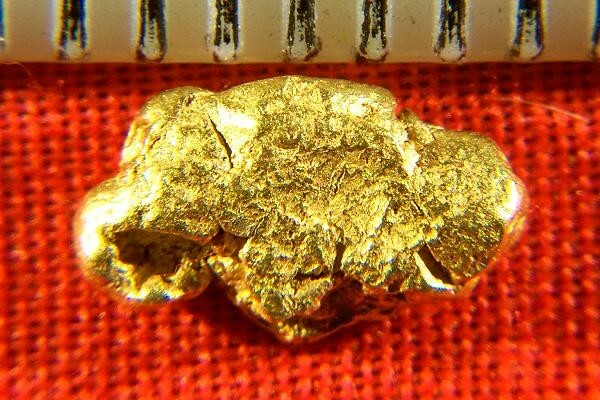 This California Natural Gold Nugget is really beautiful and would make a great investment. It is becoming very difficult to find California gold nuggets for sale due to the banning of suction dredging in 2009. I have a very limited supply so get them while you can.